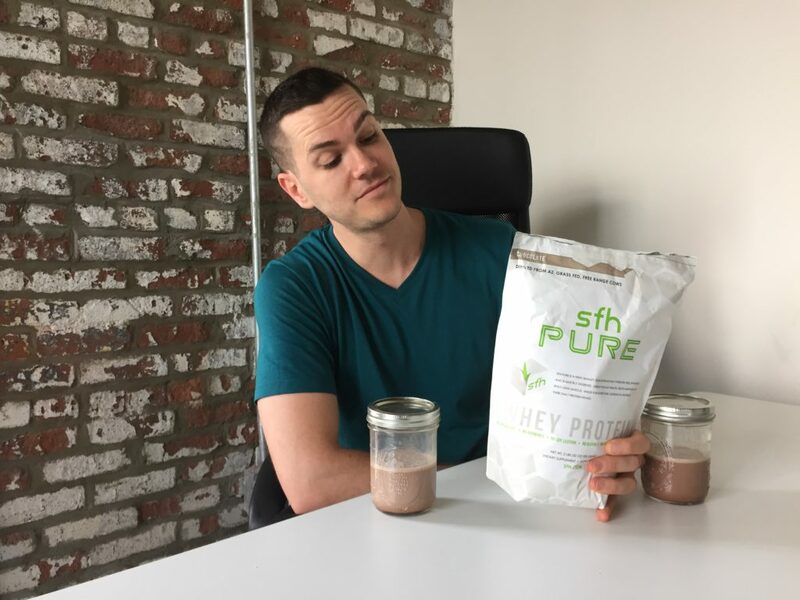 SFH — it stands for Stronger, Faster, Healthier — is a supplement company that was founded by pharmacologist Dr. Jeff Leighton. Their website swears that the brand is “rooted in science, not hype,” which might be why they have a fairly limited product line. SFH sells a couple of pre-workouts, a few kinds of Omega-3s (including one for pets! 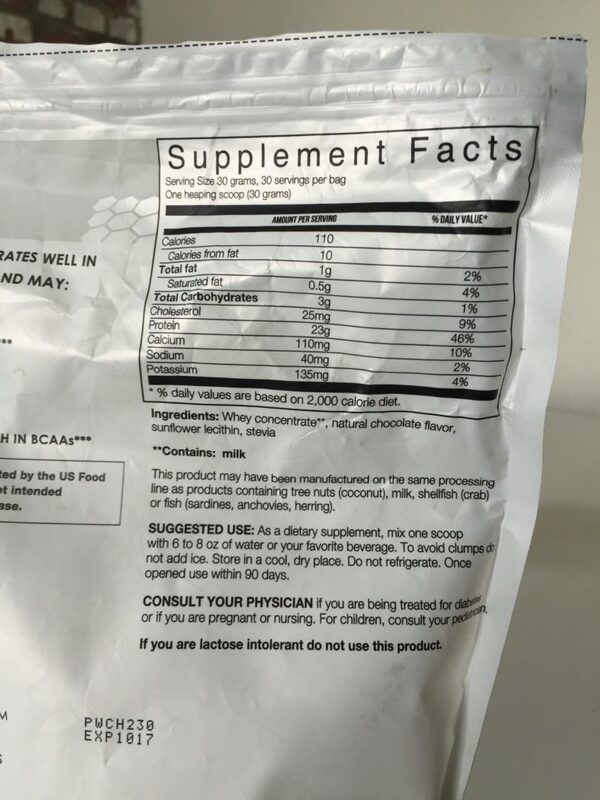 ), and three kinds of protein powder: one that’s geared toward recovery (it contains creatine, glutamine, and taurine, among other extras), one with more fat and fiber that’s intended to help “fuel” workouts, and the one we’re looking at today. 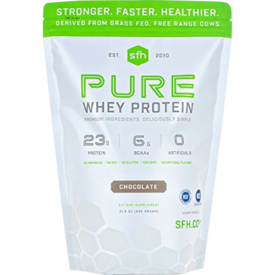 SFH Pure is all protein and little else, a whey concentrate that’s proudly made from grass-fed, free range, hormone-free dairy. Does any of that actually matter for your health? Let’s take a closer look. Totally free of anything artificial, SFH's protein is elevated above its competitors with natural sweeteners and grass-fed whey. Whey concentrate, natural chocolate flavor, sunflower lecithin, and stevia. That’s it. There are very few ingredients in this protein. The lecithin is to help mixability and the stevia is a natural sweetener that comes from the stevia leaf. There are no artificial sweeteners, colors, or flavors, no gluten, no soy, and no added sugar. One scoop has 110 calories: 23 grams of protein, 3 grams of carbs, and 1 gram of fat. As far as macronutrients go, that’s on par with the common, inexpensive whey brands like Optimum Nutrition’s Gold Standard and MusclePharm’s Combat Whey. This protein powder would be a good fit or people who don’t want anything strange-sounding in their protein powder, and it’s similar both in ingredients and in branding to Xwerks Grow, another “all-natural” whey protein. Again, there are no artificial flavors or sweeteners, the cows weren’t treated with antibiotics or hormones, there’s no soy, there’s not even much salt. There’s also a lack of digestive enzymes, like lactase or aminogen. These are usually added to protein powders to reduce digestive problems among folks with lactose intolerances or sensitive stomachs. Usually, if a protein powder doesn’t contain digestive enzymes, it’s a whey isolate — isolates have next to no carbs and are usually lactose-free, so the lactose-intolerant can usually stomach them without problems. 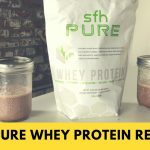 SFH Pure is a whey concentrate, so it does have lactose and may cause issues for those with sensitive stomachs. On that note, does it matter that SFH Pure is grass-fed? Here’s what’s interesting: the benefits of grass-fed dairy and beef are generally about the fat content. If a cow is grass-fed (as opposed, usually, to grain-fed) the fat has a higher amount of beneficial fats like Omega-3 fatty acids and conjugated linoleic acids. This is why it’s always a bit confusing when isolates like Xwerks or Muscle Feast focus on the fact that they’re grass-fed. Isolates are practically fat-free, so they probably don’t have many health benefits from the grass. 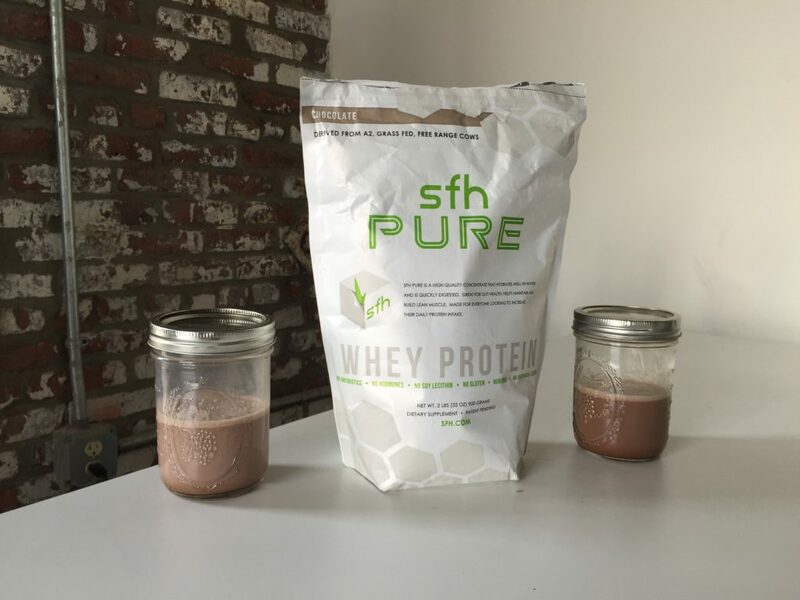 SFH Pure does contain fat, so it likely has more benefits than a grass-fed isolate. But it only has one gram of fat per serving. So, yes, there is some benefit to getting a grass-fed concentrate. But it’s probably small. You can pick up a 2-pound bag for $50. That provides 30 servings, so it winds up at $1.66 per serving, or 7.2 cents per gram of protein. That’s pretty expensive. Most big name protein powders come somewhere between 3.5 and 4.5 cents per gram of protein. But the differences with are that a) SFH is from free range grass-fed hormone-free cows, and b) it was sweetened naturally (but without calories) from stevia. These factors are going to give you a more expensive protein powder. That said, I can’t ignore the fact that Xwerks, which is a grass-fed isolate, is cheaper at 6.53 cents per gram. Isolates are significantly more expensive to produce than concentrates, so that’s worth pointing out. I’m also reminded of Muscle Feast, a grass-fed isolate that comes to 4.4 cents per gram of protein. So, I can see why SFH Pure is more expensive than other concentrates like EAS 100% Whey. I’m not sure why it’s more expensive than Xwerks and Muscle Feast, though. It mixes quite well for a powder that contains sunflower lecithin instead of soy lecithin. I did find that there was the odd granule in the shake, so it doesn’t have perfect mixability, but I was nonetheless impressed. It tasted fine. It’s important to remember that this is naturally flavored and sweetened, so you won’t find any of the double-chocolate-brownie or ultra-creamy-despite-being-fat-free flavors that are common amongst its artificially-flavored competitors. That said, it’s tasty. With milk it was sweet and creamy, with water it was pretty bland, though still a tiny bit creamy. I’d say it works great with milk and in shakes, but I wouldn’t recommend it with water. I like the idea of consuming whey from cows that were free-roaming, grass-fed, and not treated with any artificial hormones. And I’m glad there’s a product like SFH Pure on the market! I also like the fact that it’s a concentrate, which means it does contain some beneficial fats. While it’s tasty and there’s nothing really wrong with the product itself (unless you have a lactose intolerance), there are cheaper grass-fed whey products from Muscle Feast, which is close to half the price of SFH Pure.